Sunshine and flowers, captured for you in this cheery bath bomb. With a beautiful selection of citrus essential oils like bergamot, lemon and sweet wild orange, the fragrance of Still Life is light and uplifting. 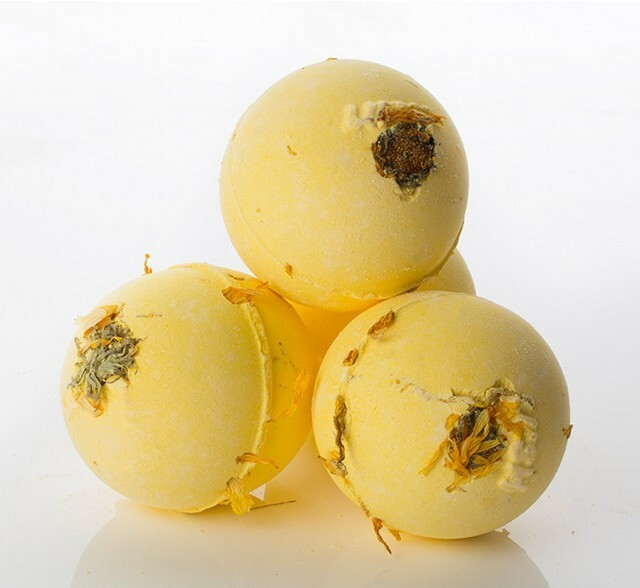 We’ve packed it with the blooms of summer – marigold and sunflower petals – to swirl around you in the water and remind you of hot, sunny days. Still Life is one of a series of bath bombs that were inspired by famous works of art. It’s Mo’s representation of Van Gogh’s famous Sunflowers painting, translated for you into a masterpiece of fragrance. Pop into your filled bath lie back and enjoy. "I recommend with the reservation that this can only be bought for a short while as it is a retro product and can only be..."